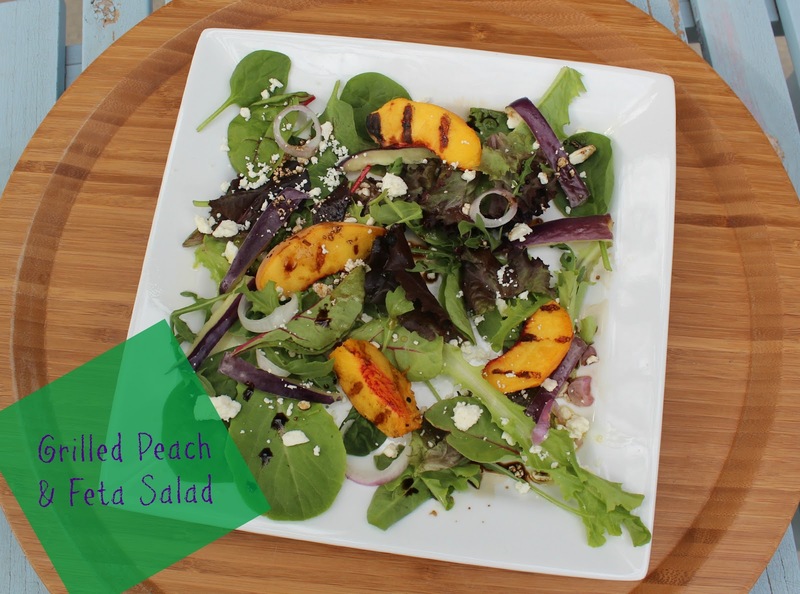 Moore Minutes: 4 amazing fresh PEACH recipes! 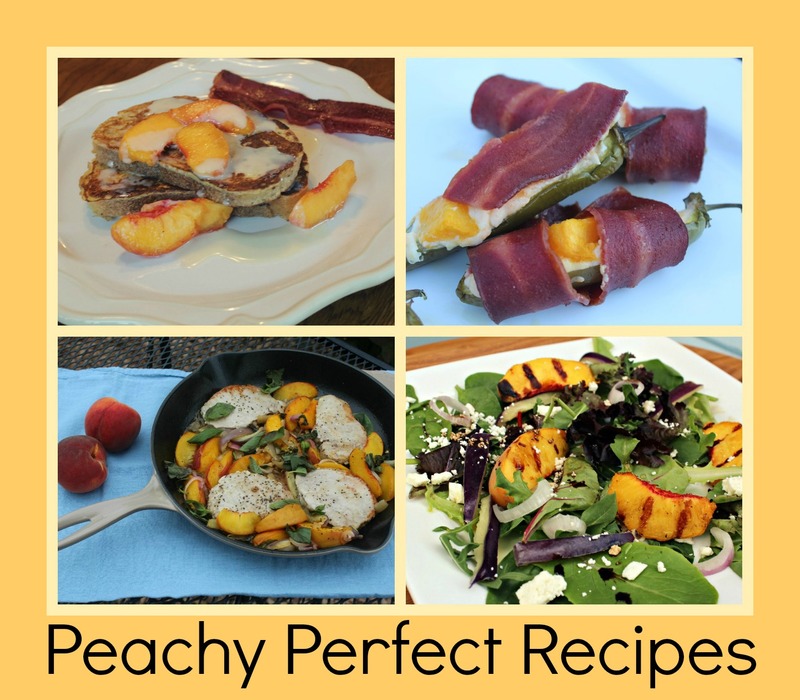 Every August I share a big juicy PEACH post full of peach perfect recipes on my blog. This year's collection is my favorite yet! We live near some of the best peach orchards ever. 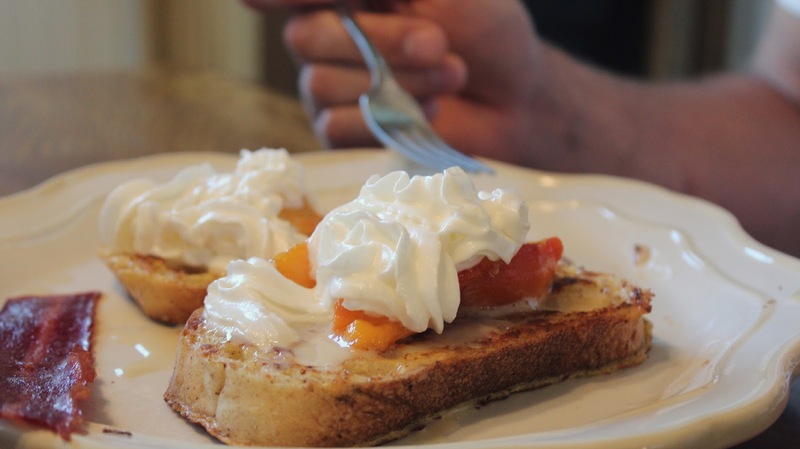 Palisade, Colorado, has a signature reputation for their peaches: they grow the BEST, they smell the freshest, and they taste the juiciest.. Visiting the Palisade orchards and gathering boxes of peaches at our weekly farmer's markets is a summer pastime for our family. 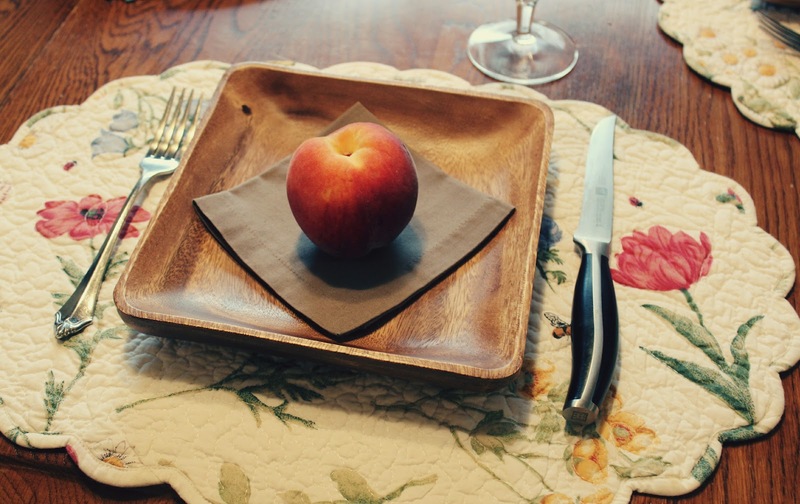 This annual peach post has become one of my most anticipated blog posts of the year! 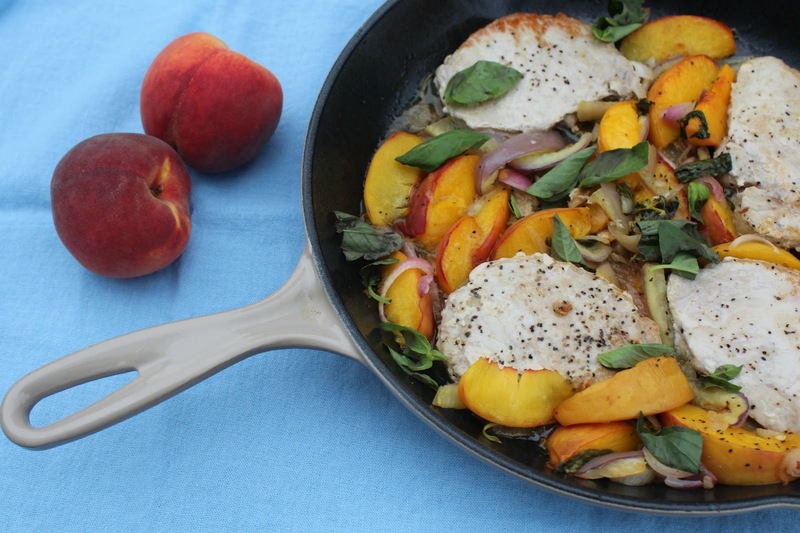 This year I'll share both savory and sweet recipes for your peach lust lovin'. All 4 of the following recipes get a big A+, written in red with a smiley face. I definitely want to make all of them again. 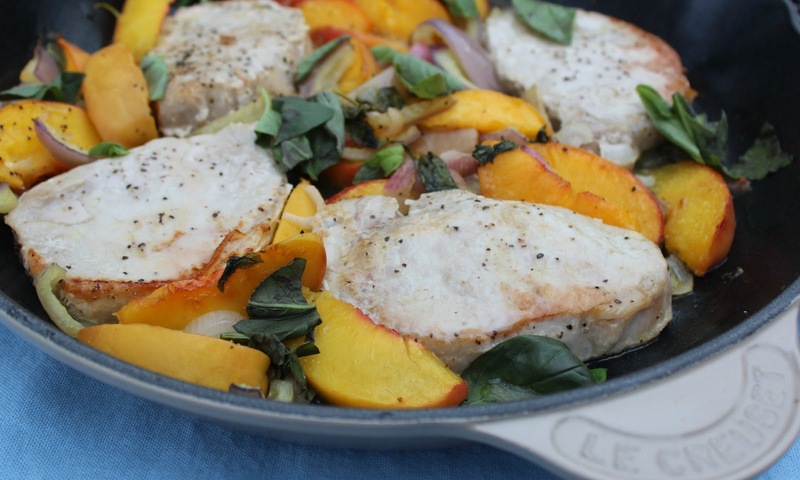 The Roasted Peach Pork Chops is started in a cast iron skillet on the stovetop, then transferred to the oven for an easy roast. This aHHHH-may-zing pork chop recipe is compliments of Real Simple magazine and follows the Paleo (caveman) diet. 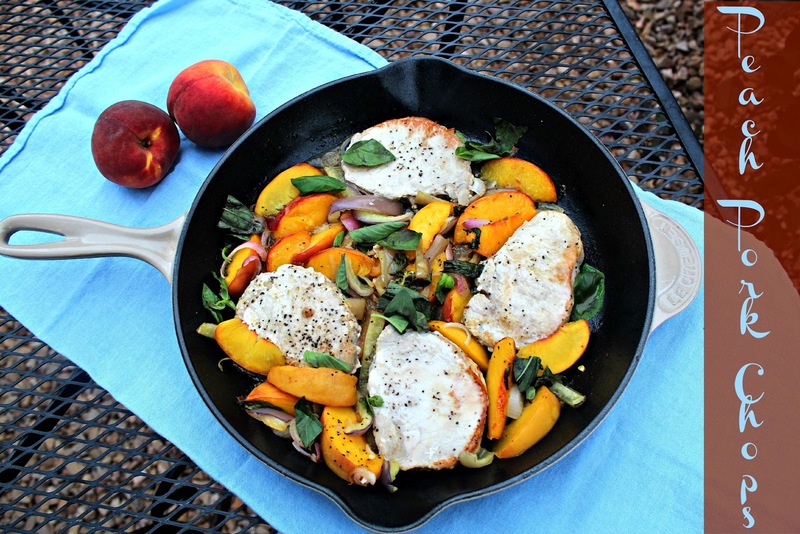 Click HERE to see the Roasted Pork Chops and Peaches recipe. 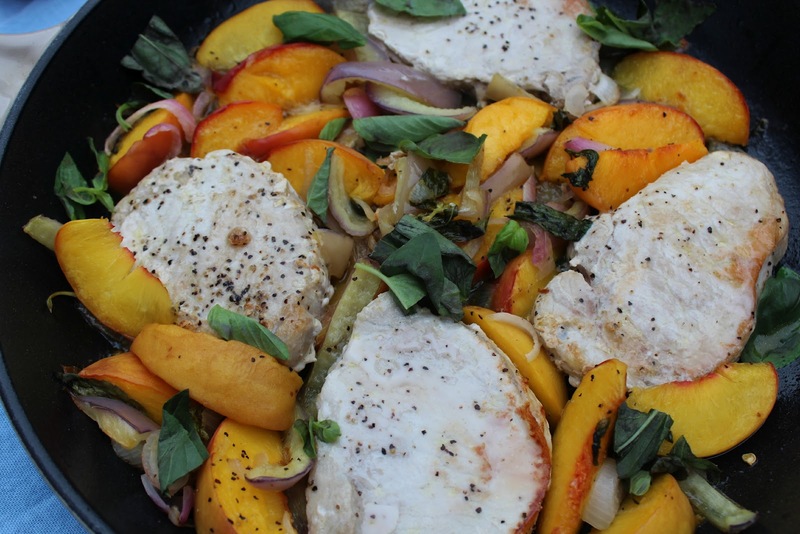 Our entire family, 3 stair-step boys included, enjoyed every bite of this Roasted Peach Pork Chop dinner! This refreshing salad tasted delicious. It takes just a few minutes to toss together. 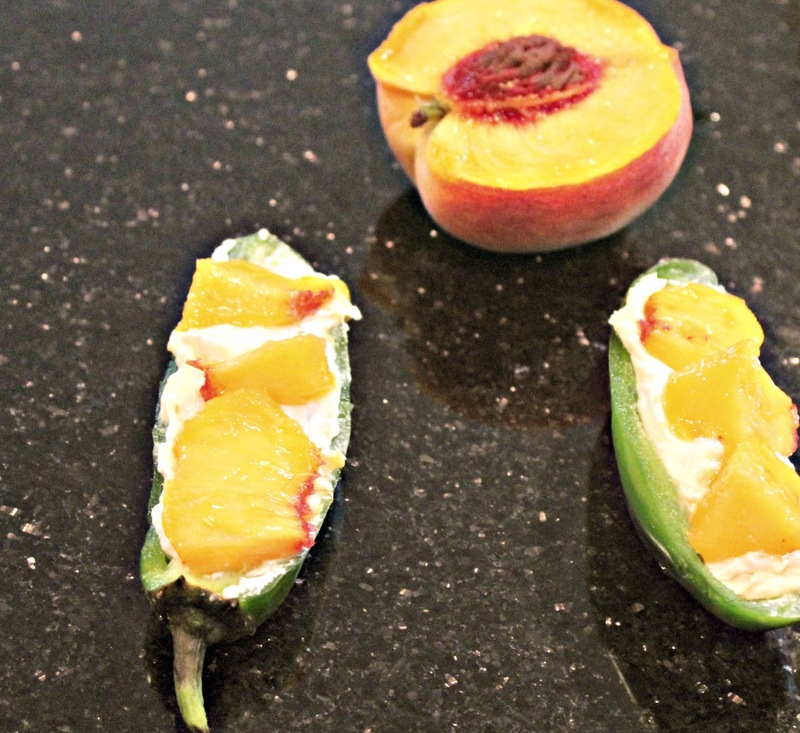 Slice peaches and carefully grill on medium heat. 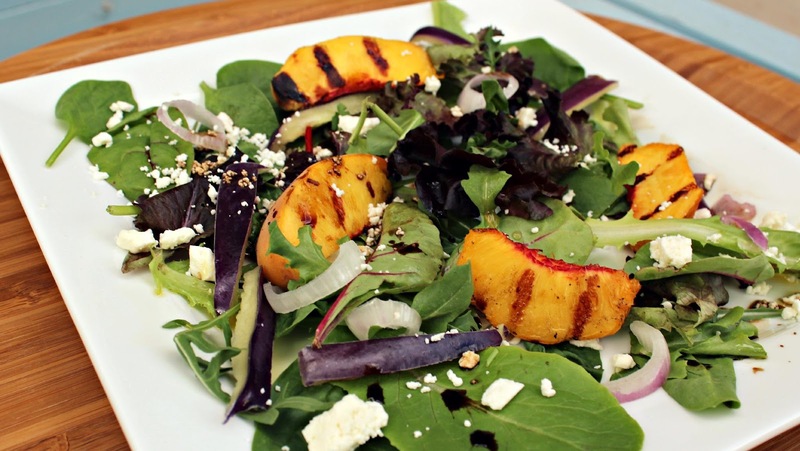 To a pretty plate add, spring mix, fresh baby spinach, red onions, feta cheese, peppers, grilled peaches. Finish with a few drops of oil and balsamic vinegar. For the last two recipes, I pulled out my Pioneer Woman cookbook! 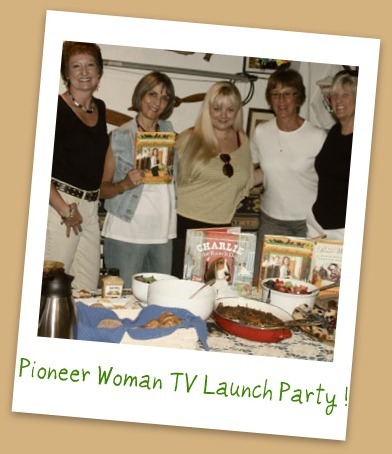 Last year I celebrated the Pioneer Woman's TV show launch party with some incredible women. We had a brunch of yummy bites, including some recipes from the Pioneer Woman. 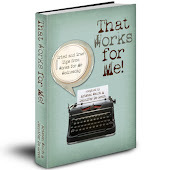 This launch party was hosted by my friend, Kathy. Kathy also had a super EXCITING surprise for us! At the party she displayed the collection of the Pioneer Woman's books. And she had a special book just.for.me. 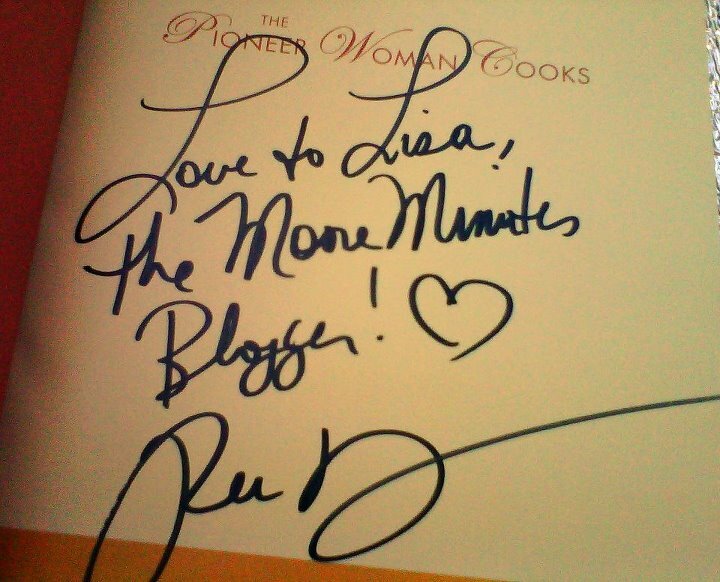 Kathy knows Ree and she arranged to have Ree autograph a cookbook for me! Every time I pull my Pioneer Woman cookbook out, I get excited all over again about her special surprise for me. Thanks Kathy! My autographed cookbook from the Pioneer Woman! 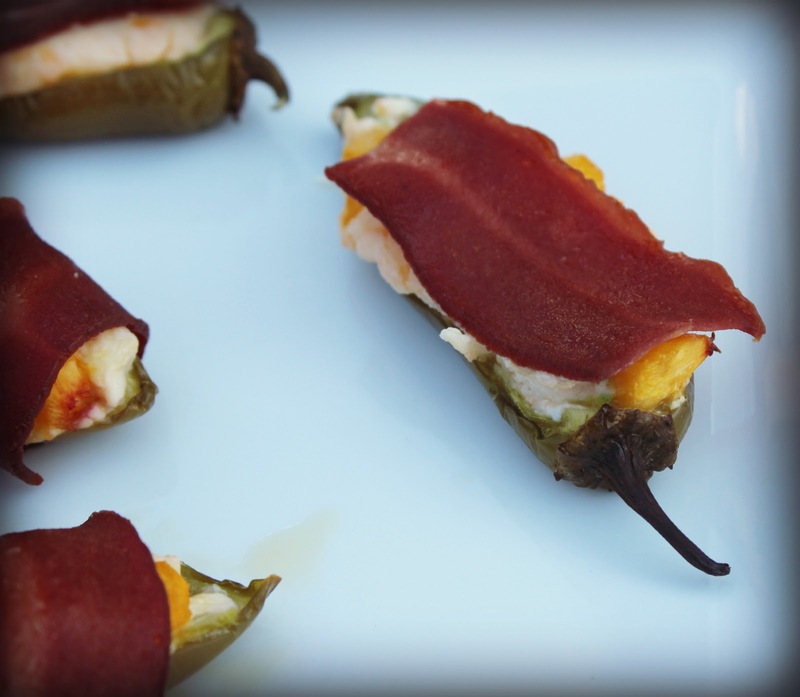 Bacon-wrapped, cream cheese-filled jalapenos have been a popular appetizer the last couple of years. Umm, because they're SO YUMMY. 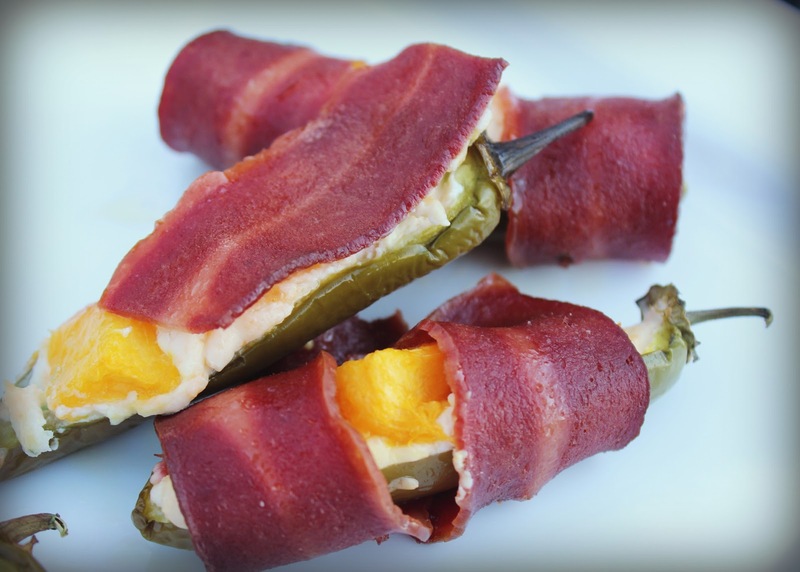 Pioneer Woman put a twist on this recipe in her original cookbook by adding bites of peach to these jalapeno poppers. They taste DIVINE. You can find the recipe here. 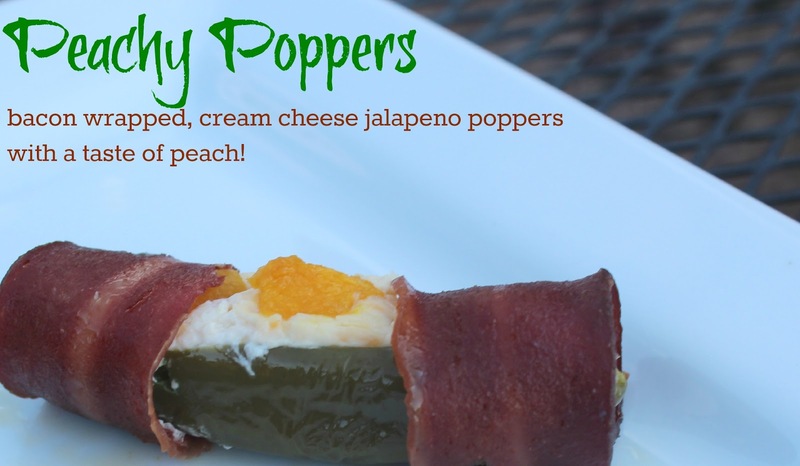 Right before wrapping with bacon add a peach slice to each popper. We used turkey bacon instead of pork bacon because our family prefers it, but either one works. I sliced sourdough bread. For the egg bath I added a bit of fresh ground nutmeg, milk, and vanilla sugar. I prepared the french toast as usual. For the cream sauce, I made Pioneer Woman's rich creamy maple sauce! The only difference is I served it hot. She recommends serving it cold with the recipe she paired it with. For french toast, I used it as a hot syrup instead. 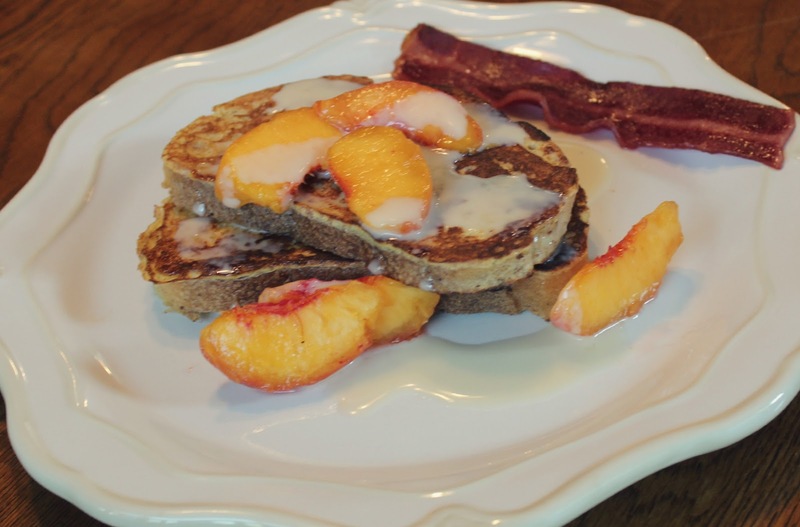 After I topped the french toast with the homemade maple cream sauce, I added fresh peach slices. Peaches & Cream weekend breakfast is served ...with a slice of turkey bacon! 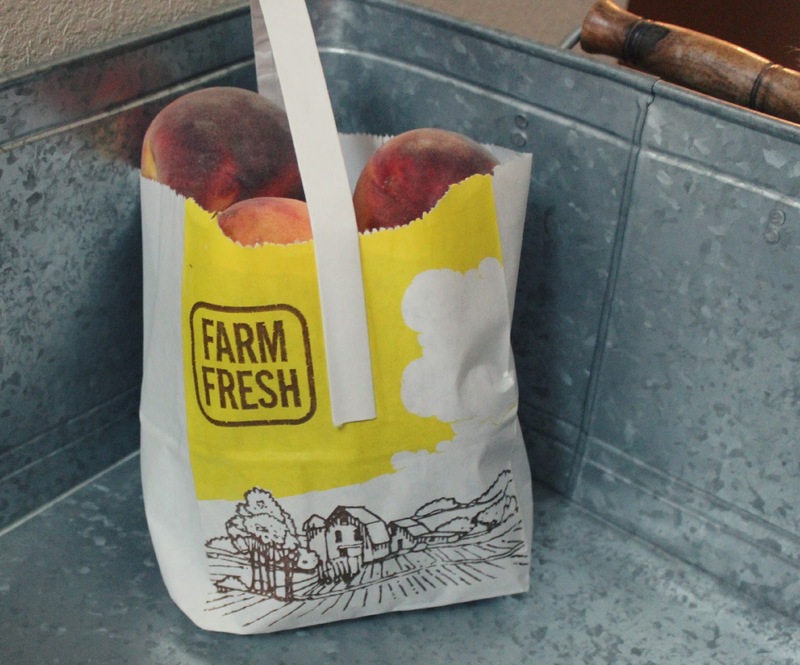 A quick tip if you're preparing a big batch of peaches for a meal: to quickly peel the skin off of peaches boil a large pot of water in the microwave. 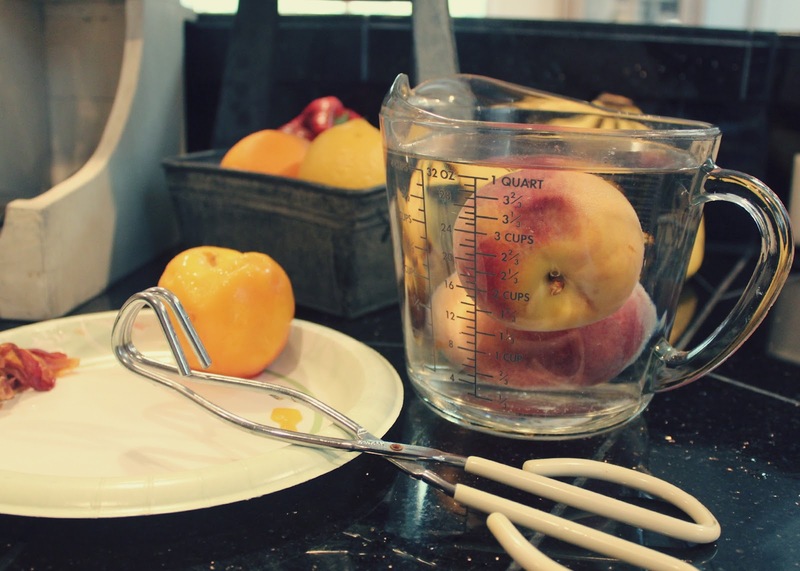 Gently place the peaches in the water and leave in for a minute or less. Remove with tongs. Immediately place peaches in an ice bath for a couple minutes. When you remove them,the skin will pull right off! Pour 1 1/2 cup whipping cream into a saucepan. Add 5 tablespoons real maple syrup, 3 tablespoons corn syrup and stir over moderate heat until thickened and reduced by about one-third, approximately 15 minutes. That completes the 4 peach recipes for this year, August 2012. 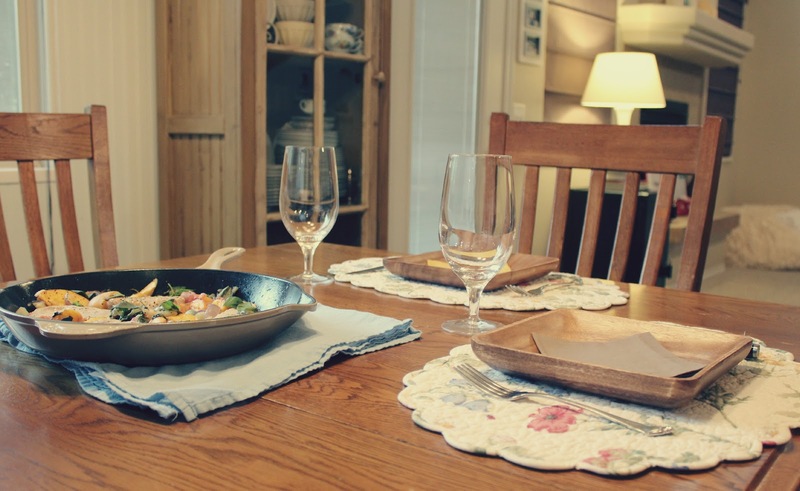 Savoring the fresh foods derived directly from our soils is living in the simplest form. Every piece of fresh produce that grows from baby seeds each year should be elevated and celebrated. The new, colorful crops of fruits and vegetables each season are a dance of life for us to use and to love. Happy Peaches n' Cream August days! 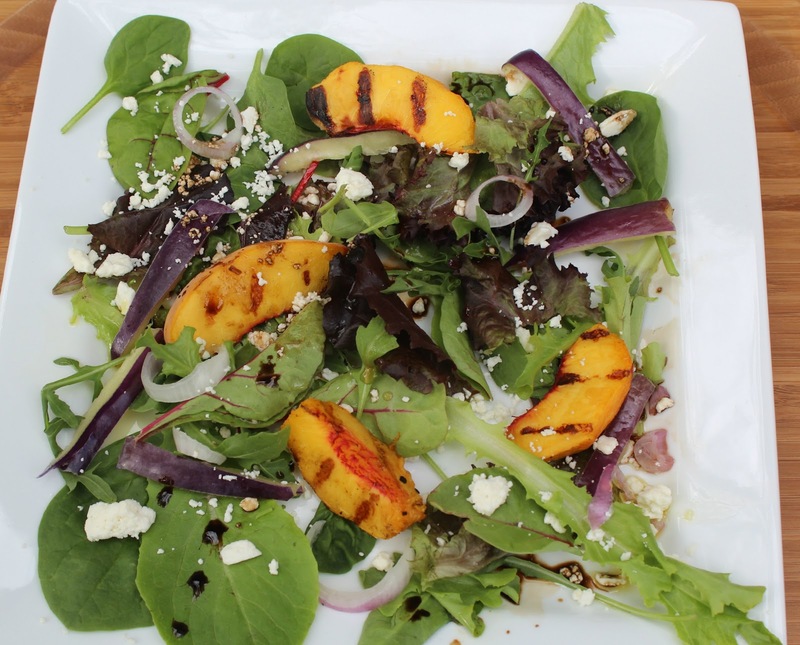 What's your favorite way to eat a peach? 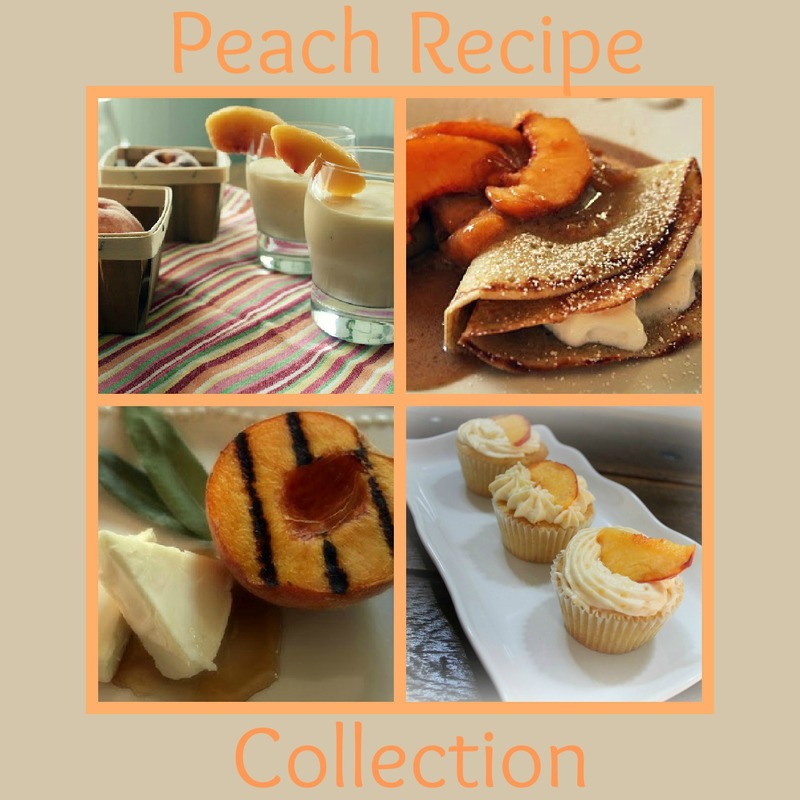 Great recipes and we too love peaches here..Thanks for the post.. I love peach season because it means I get yummy stuff! My favorite this year was the french toast, followed by the poppers. When are we doing crepes again? Oh my mouth is watering looking at all this scrumptiousness!! 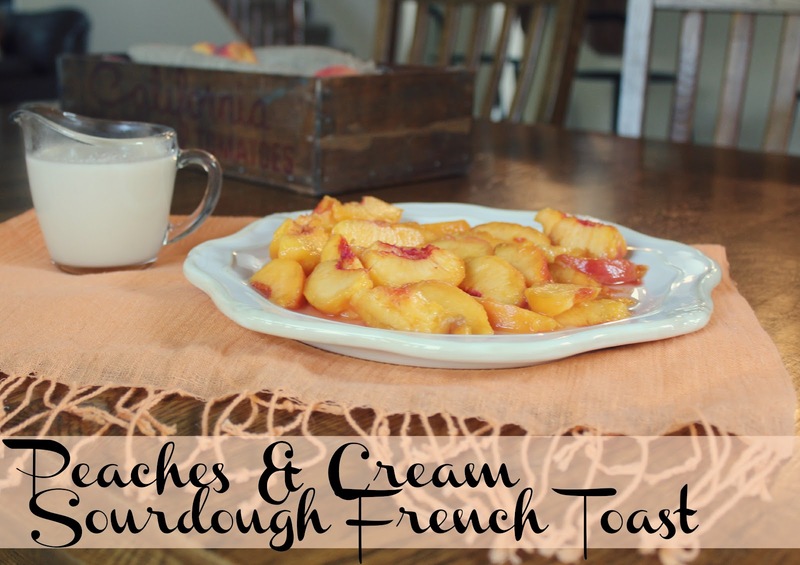 I can't wait to try out the Pork Peach dish and the french toast! Wow it all looks so good. 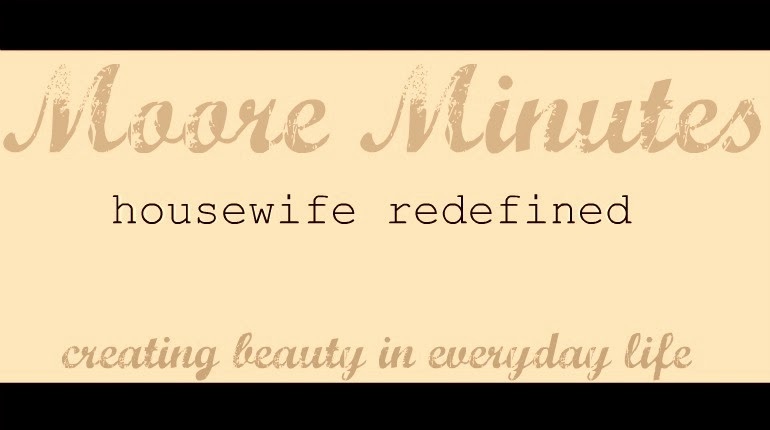 Come by and link up to centerpiece wed on my blog and enter my giveaway. 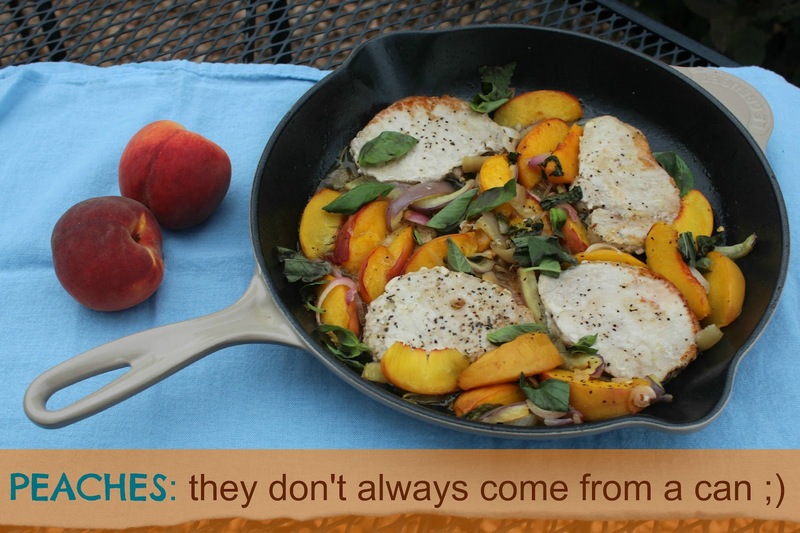 I never thought about grilling peaches or adding them to dinner type foods! Great Post! Every single one of those peach recipes look yummy! Stopping by from Nifty Thrifty. 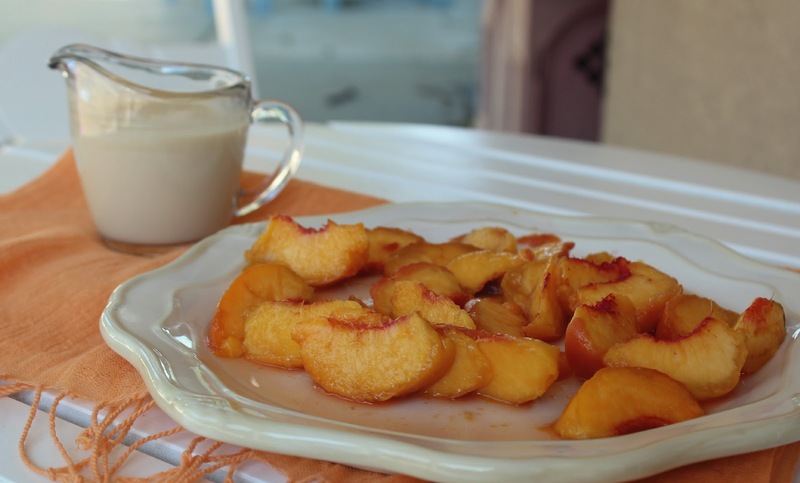 I love peaches, and now's the time to enjoy them fresh. You shared some amazing sounding recipes. My hubs will love the one with pork chops! My fingers are crossed you’ll share your creative inspiration tonight with Sunday’s Best – sharing is a good thing! 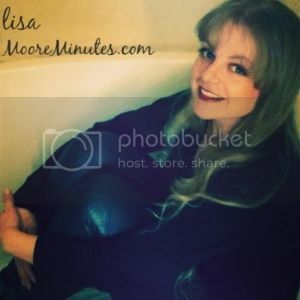 oh I love all of these recipes Lisa! I'm so glad that I'm following you! 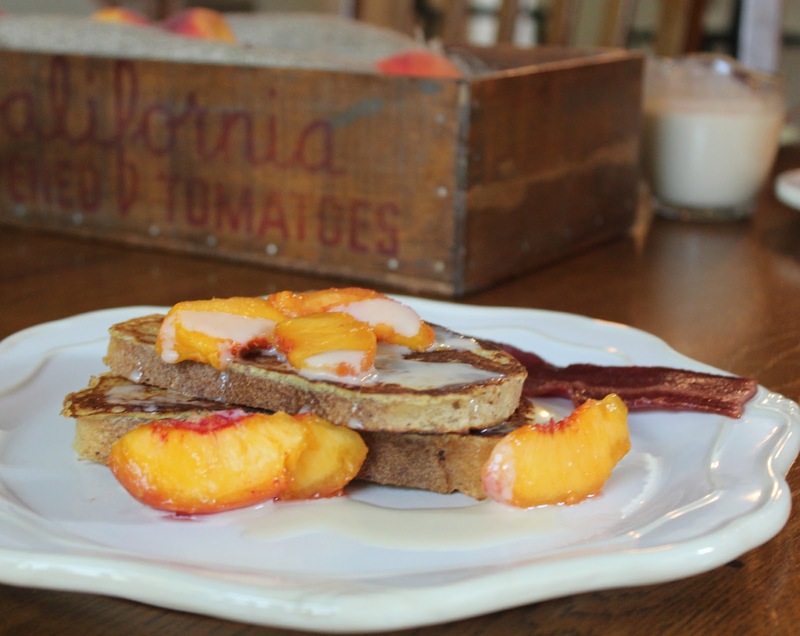 That Peaches and Cream Sourdough French Toast looks soooo good! Thanks for posting on tt&j!